The newest poker TV show to focus on the U.S. market has named 20-year poker industry veteran Noan Dalla to the production crew. Under the title of Creative Director, Dalla has been given a blank canvas to add his input to Poker Night in America (PNIA), the TV show that begins filming next month at the Turning Stone Casino in Verona, New York. Three more broadcasts will be shot before the year’s end at still unnamed locations, with all four scheduled for airing beginning in early 2014. Dalla has written hundreds of articles for various print publications and websites over the years. He also authored One Of A Kind , about the rise and fall of three-time WSOP Main Event champion Stu Ungar. That book was made into a movie about the dimutive and legendary poker pro whose life was cut short by a cocaine addiction he developed as a result of needing energy and stamina in order to play high-stakes cash game poker into the wee hours of the morning. The WSOP’s Media Director since 2002, Dalla is well-respected in the poker industry. At his own blog, Dalla announced his new affiliation with PNIA and called the show poker’s next big thing. PNIA is the idea of Heartland Poker Tour co-founder Todd Anderson and aims to engage viewers in ways that past poker TV shows never have. Dalla will seemingly have a big say in what those ways will be as the new creative director. 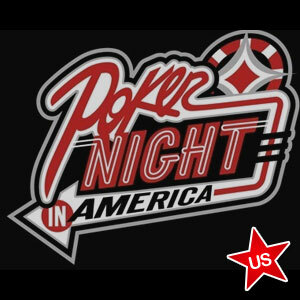 Poker Night in America will naturally film tournament action that poker fans have come to love over the years. Celebrities and pro players will be featured in story-telling segments and viewers at home will also be able to win prizes and appearances on PNIA. Dalla most recently orchestrated the boycott of the Venetian Poker Room at the Las Vegas Sands. The Sands’ owner, Sheldon Adelson, is opposed to online poker and gambling and has vehemently voiced his objection to legislation. Dalla called Adelson’s views insulting to poker players who love and respect the game both live and online. 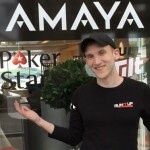 In accepting the position with PNIA, Dalla will no longer be involved with WSOP events on the circuit tour, but will retain his Media Director position for the WSOP and WSOP-Europe. Fans of his blog can expect Dalla to update the website with fresh posts periodically.